Stockton’s Plum Creek Stables and Kennel is a western horse ranch located in Littleton, Colorado along the Plum Creek, with Chatfield State Park as our backyard. We are in a handy spot for our Roxborough, Highland Ranch, Lakewood, and Denver neighbors. This unique outdoor setting provides the perfect Colorado experience. The stables have been in operation for over 4 decades. Over the years we have we have developed a unique atmosphere which our Guests and Boarders enjoy. 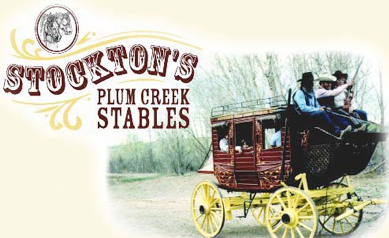 Stockton’s Plum Creek Stables is known statewide for hayrides into Chatfield State Park, western party extravaganzas, native american and western field trips, picnics around the campfire, horseback riding lessons taught by an experience staff, and of course our horse boarding facilities. A step into Stockton’s is a step into the Ol’ West.